Had Enough Chaos, Drama, Fear, & Frustration? Ready to Truly Live Life? Right AWAY on how to live a thriving, soulful, more balanced Life! If you are yearning to start your journey of healing, awakening, expansion and empowerment, you will love our online courses because you can start Right NOW. Each course includes a series of inspiring videos, a handy course handout, and exercises that can be done from the comfort of your own home. The content is clear, entertaining, and appropriate for all levels. Because this is all online, you can complete things at your own pace and at your convenience! I’d like you to take a moment right now to imagine what your life could be like if you had the health, energy, passion, peace and relationships of your dreams. How would you feel? What would your life look like? If you are ready to SHIFT into peace and joy, health and vitality, then these courses are for you! awaken. Take this journey along with me and . . .
Out of balance? Life throws us way off base sometimes. This course delivers specific tools and practices to support physical, emotional, energetic, mental and spiritual well-being and balance. Learn about the Chakra system and how to Clear, Activate and Balance each chakra center. When one or more chakras centers are out of balance or blocked, you experience challenges, disease, dramas, depletion, confusion and disconnection. With a more intimate understanding of the chakras, you can diagnose imbalances in yourself and others and bring imbalances, blocks and densities back into a peaceful harmony. 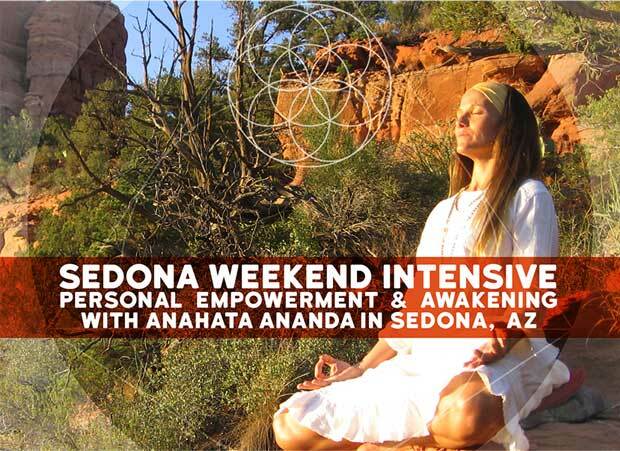 Learn tools & practices with 30+ high quality videos filmed throughout breath-taking Sedona, Arizona. Also included is an extensive handout with exercises as well as a Chakra Balancing guided audio recording. These empowering yet simple approaches improve health, relationships, confidence, love, personal path, and spiritual connection. Bring balance, flow, and clarity into your life! Hey, Relationships are messy. They can be completely painful and sometimes LOVE is not enough. This course empowers you with practices and perspectives to be a better communicator and respond with awareness and compassion to even the most challenging situations. You will learn the tools necessary to end the chaos, pain, and drama of unhealthy relationships and create healthy relationships with those that matter to you most. Explore Tools, Practices and Perspectives for Maintaining Healthy Personal, Family, Intimate and Professional Relationships. It is time to replace conflict and misunderstanding with clear communication, awareness, unconditional love, respect, accountability, sovereignty, clear agreements, compassion and expansion. 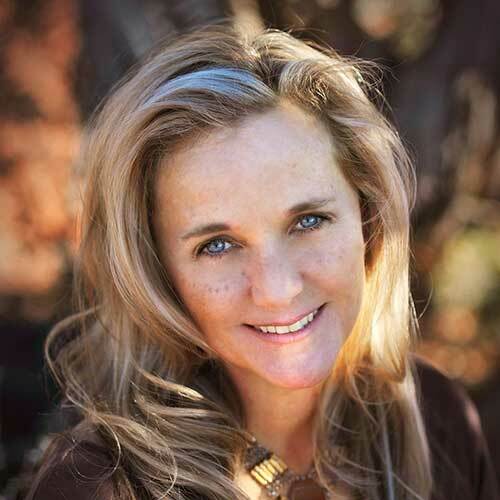 Through nine engaging videos shot in breathtaking Sedona, Arizona, along with a comprehensive course handout and simple exercises, improve all your relationships. Relax and breathe! Explore how meditation can support relaxation, peace, clarity and connection. Beginners or experienced meditators will enjoy these simple tips to make meditation easier and more effective. With today’s fast-paced lifestyle, meditation is a valuable and necessary tool for balancing stress and mental/emotional overload. It also connects you to a higher, divine perspective so you can see life more clearly. When practiced even for short periods, meditation supports physical, emotional, energetic, mental and spiritual well-being. Enjoy six engaging videos plus a course handout and simple exercises. With these tips, it will be simple to experience the profound benefits of meditation. It is easier than you think! In this course, learn simple tools to heal, balance, and awaken the divine masculine and feminine qualities within to re-establish a harmonious, sacred union between the two. Our fullest potential is found in the weaving and balancing of the Divine Feminine and Masculine energies within ourselves. Both men and women carry feminine and masculine energy, wisdom and tools; however, sometimes one or both of these energies is out of balance, silenced, wounded, less developed, misunderstood or disrespected. Through eight engaging videos, a comprehensive course handout, and simple exercises, inner and external conflict can be shifted to harmony and unity in all areas of life. Experience the magic! Vibrant health is the foundation for dreams to manifest and your full potential to be realized. It is easy for health to get compromised with our fast-paced, demanding lifestyle. TAKE EMPOWERING ACTION and implement these simple, vibrant health practices to feel more alive, energized, and ready to rock your world. Through 12 engaging videos, a comprehensive course handout, and simple exercises, YOU will begin a journey that will impact all areas of your life right away. It is time to step into your greatness. Enough playing small, no more excuses. Get the support, inspiration, tools, motivation, resources, accountability and community you need to manifest your Greatness. Enjoy the 2019 Quantum Leap Coaching program with monthly Inspirational instructional videos, monthly assignments, worksheets and action plans PLUS a supportive community of others like you. AND some great BONUS offers too! Let’s experience a successful quantum leap in 2019 and beyond! 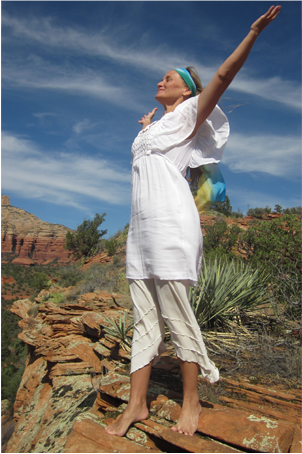 If you would like to experience this content live, join us in persona for the Sedona Empowerment Weekend intensive.